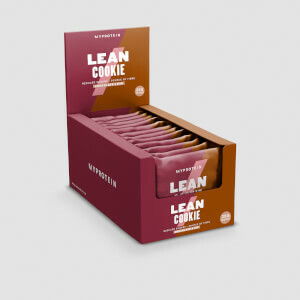 As the description says, "Indulgent Cookie"
Rightfully, this cookie claims to be indulgent and in no way claims to be healthy. It's not healthy and it has more sugar then protein. This cookie is, simply put, delicious and the best cookie I've ever tasted. Much better than supermarket soft cookies. The texture is spot on and the flavour is divine. I'm struggling to describe it as I ate it too fast. It's definitely a treat snack and not something to add to your everyday sports nutrition routine. 5* for taste and texture, however it loses a star as it is just a treat. Unfortunately I won't be able to have one of these everyday which would have been ideal. Next step, I'm going to try microwaving it. On its own, glass of milk before bed, post-workout. Honestly, listen to the reviews that cite the high sugar levels. You shouldn't let the lovely taste and texture blind you to the fact that these are simply not that good for you. Okay, they are better than eating a couple of Maryland Cookies - not that I ever do that - but they are not great for sustaining a generally healthy diet if used frequently (eg. daily). Remember - and I say this as a doctor - constant high sugar consumption feeds inflammation, which can cause all sorts of problems. 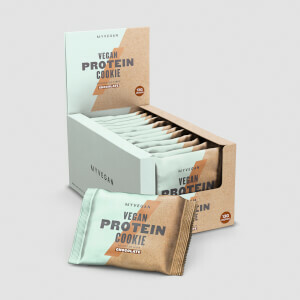 Having said all of this, I still buy them because they taste great, I'm limited in choice for these kind of products as a vegan, and I'll get one in to me if I'm hiking around a mountain (convenient calories) or when I've had a particularly nasty workout - along with a healthy overall diet. So continue to buy, but use in moderation. A beasting on sled pulls. This is delicious. Seriously, seriously delicious. It doesn't taste like a protein cookie. It just tastes like a double chocolate cookie. The texture is firm buy dense and gooey and chewy. The chocolate taste is legit. 5*!! 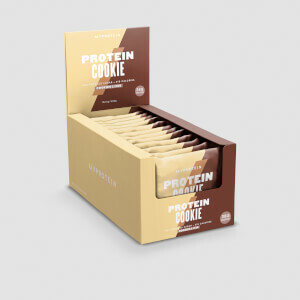 The cookie is hands down the best protein cookie I've ever had and could possibly compete with regular cookies, they are larger, better for you and are amazing heated up. However, the problem was not the macros such as the little amount of protein or the high amount of fat.... but it was the sugar content that shocked me. some may not find this as a big deal, but I have personally never seen a diet which embraces so much sugar within a short amount of time. 14g in this one cookie when and athlete must consume roughly 45g a day. I will be purchasing this again but wanted to make aware that it is higher in sugar than many other options, including oreos. Considering this is a sports supplement and not a regular unhealthy cookie, taste and texture is much better than I expected. If you love chocolate, this will take care of your craving. It took me a few times to find the right protein bar to get a handle on my chocolate addiction. I have 2 of these a day and I’ve lost over a stone. You really don’t even notice that it’s a protein cookie because it’s so soft chewy and very chocolaty. I really feel like I’m indulging eating this and I’m not. It isn’t dry at all. I buy the 13G protein one as the higher one is very dry. I’d order regularly but the stock is not consistent and regularly out of stock! 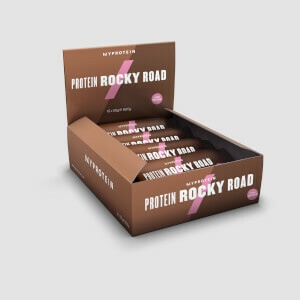 Please keep up with demand My Protein or customers will go elsewhere, as I almost did! So yummy! I have tried a few of the snacks from MP however this one is the tastiest for sure. 100% recommend!